Simple Moviles is a mobile company in Chile that was launched in March of 2015. 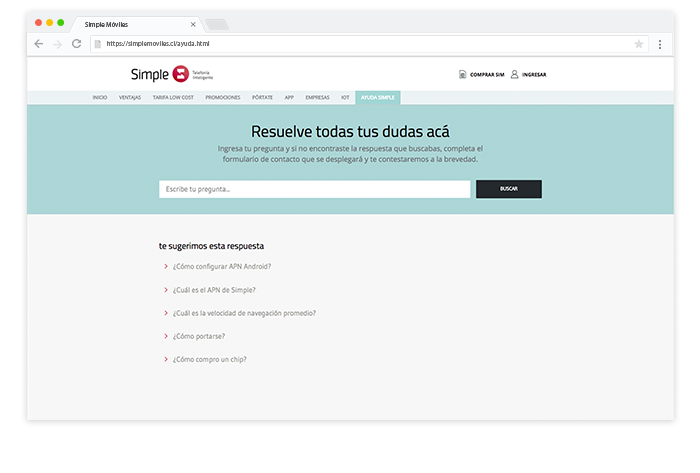 Inbenta has deployed its services on Simple’s website, to increase the self-service ratio on this virtual mobile company, which its operating costs must keep at minimum. Simple has trusted Inbenta with all of its customer experience driven by their website.